Earlier this week I did something I haven’t done for a very long time – in fact I’ve only done it once before and that was several years ago! For at least the last nine years I have driven blindly past the signs for Stratford’s Park and Ride. From way back in time, when it was located at the Maybird Centre, but possibly even more so since it moved to Bishopton Road. Onward I would drive, only to get caught in traffic, then struggle to find a parking space and, nowadays, to be charged a ridiculous amount in parking charges to nip to the bank to pay in a cheque. But no more! After months and months of resentment about the parking charges in the town, I finally decided to try the Park and Ride for a second time. Don’t get me wrong – the one and only time I have used this service before wasn’t a disaster, I think I’d just picked the wrong day as I had too many bags of shopping and it was raining. But this time – what a treat! I had no problem parking in the free car park, which was only a quarter full. The bus arrived only a minute or two after I got to the stop, which was clearly marked – there’s one stop for getting on and another just around the corner for getting off. A mere £1.50 return fare was paid, and the journey to Wood Street took just a few minutes. I had a comfortable seat on a clean vehicle, and my fellow passengers and the driver were all very polite and friendly. Of course, I’m sure it helped that the sun was shining and it was a lovely warm day. When it was time to come home, several hours later, I made my way to the return stop near to the Oxfam shop. As I crossed the road, the bus came into view and on I hopped. Not so good this time, as I had to stand on the way back! However, the trip only took a matter of minutes, and before I knew it I was back in my car and on my way home. Total saving on parking costs was £2.50 for a four hour visit. Excellent, I love saving money! As a local, I have always disregarded the Park and Ride, believing it was meant for visitors to the town - after all, I know all the best streets to park in! But I think the introduction of parking charges has changed my perception, and I recommend that other locals should make better use of this service. 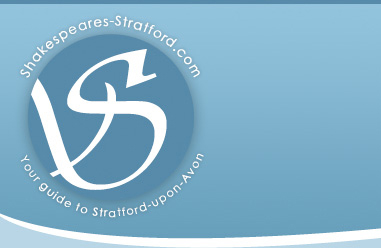 Like so many other things about Stratford, we sometimes don’t see what great things are just under our noses! So why not save money and hassle by traveling into the town centre on the bus? There is a range of tickets available and concessionary pass holders travel free. For regular users of the service, season tickets can be purchased weekly, monthly or annually. 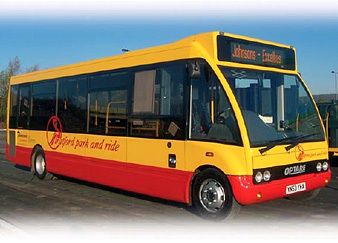 I look forward to meeting you on the Park and Ride bus very soon… go on, give it a try.